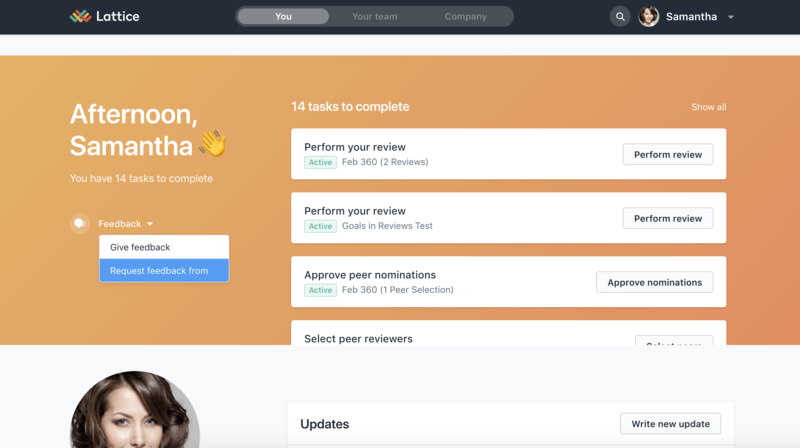 Managers can now request feedback about their direct reports from other people around the company. 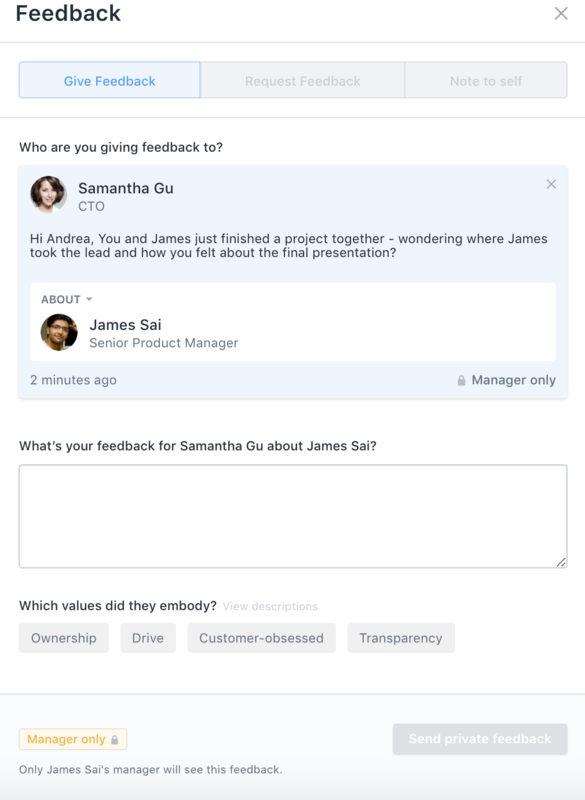 This feedback is only visible to the manager. 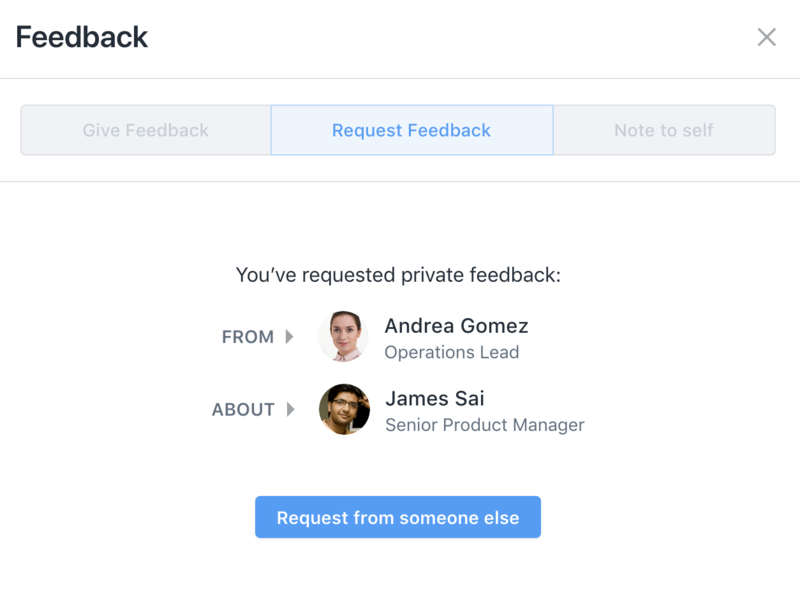 Step 3: From the drop-down, select "Request feedback from"
Step 6: Click "Request private feedback"
When they click in, they will see what you are requesting they give feedback about, and they will be able to respond. Done! 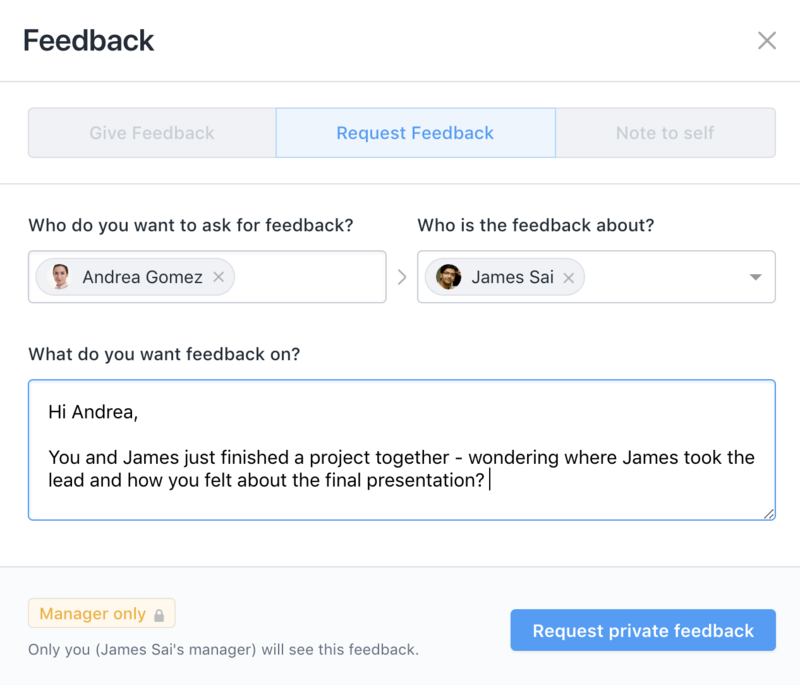 This is private feedback so it's only privy to the manager who asks for feedback and the employee who the manager asks for feedback from.